There are two types of lead-in Telephone cables: The Aerial self supported Telephone cable is designed for external aerial installations. The Galvanised steel wire is incorporated into the polyethelyne sheath in the “figure 8” formations. Whereas, the External Lead-In telephone cable is designed for external underground installations in ducts or by direct burial. 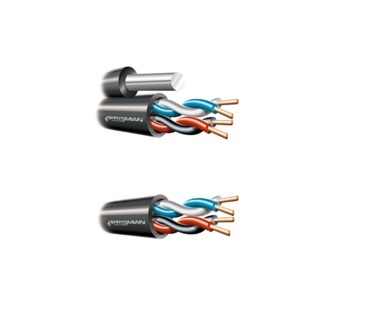 This type of cable has a jelly-filled core for water blocking purposes, and optionally with a UV stabilised Polyamide as an effective terminte barrier.